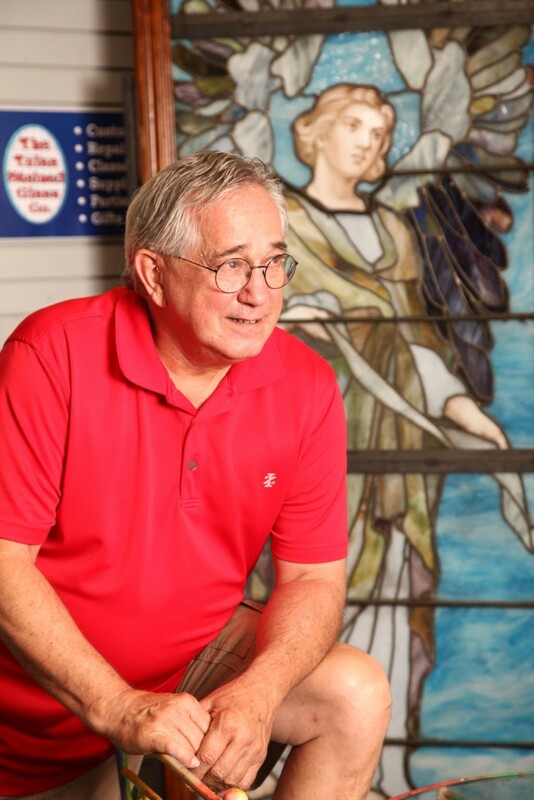 In the more than 40 years that he has worked with stained glass, Richard Bohm has created family and institutional treasures. In 1975, Bohm and his wife started Tulsa Stained Glass, making custom art to display in homes, business and churches. 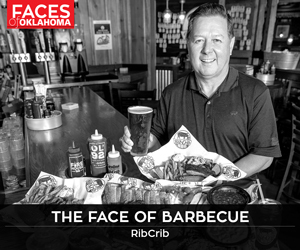 Bohm has designed stained glass for Boone Pickens Stadium at Oklahoma State University, Boston Avenue Methodist Church in downtown Tulsa and the Children’s Hospital at Saint Francis in south Tulsa. “I always encourage the client to think about how to make this stained glass more meaningful to them and have been doing that for years,” Bohm says. “We’ve had customers take windows from house to house to house and box it up and they retire and take it to Florida. In addition to working on commissioned pieces, Bohm helps others get in touch with their creative sides through classes that he teaches. “There’s a whole other process that many have lost, and that’s the creative process of design,” he says. “So what I do is when my students come in to class, before they ever sit down and learn about the glass itself, we do finger painting. They do finger painting based on my guarantee that I’m going to help them turn those finger paintings into a stained glass design. During these three-hour classes, students create garden spirit sculptures and learn the basics of making stained glass. Bohm says people take the class for a variety of reasons, from date nights and birthday celebrations to coping with grief. He says the process can be therapeutic. Most of the glass used at Tulsa Stained Glass comes from Kokomo, Indiana, as well as some from Germany and the Czech Republic. The glass has a wide variety of textures, opacities and, perhaps most importantly, colors.